History can be either great or small, important and earth shaking or insignificant. I have regarded my own personal history to be unremarkable. I had some boxes in my basement that my grandmother had packed up maybe thirty-five or forty years ago. I had never taken the time to look through them until a few weeks ago. 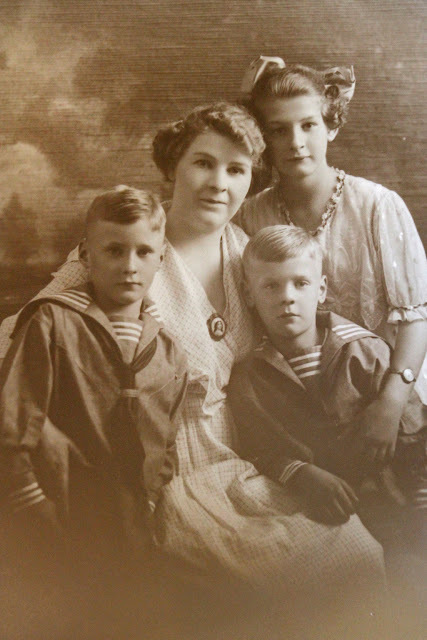 I was amazed to find some rather wonderful family photos. I have always enjoyed looking at vintage photos so I was tickled to death to find these. I took them downtown to be framed and just got them back. Keep in mind, these are photos of photos, so the quality presented here is a bit rough.